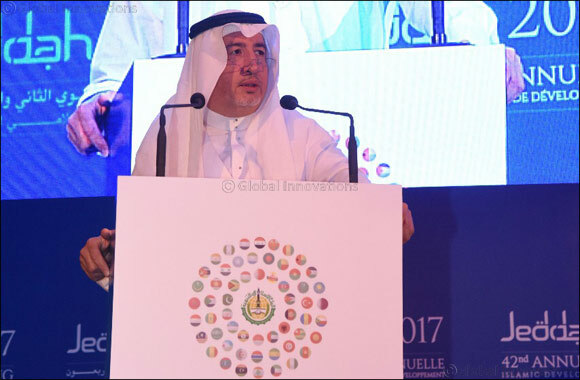 Jeddah – May 16, 2017 (Hilton – Al Qasr Hall): ITFC has organized a side-event during the IDB Group Private Sector Forum, in conjunction with the IDB Group 42nd Annual Meeting held in Jeddah-Saudi Arabia. Given the importance of this forum and the high profile audience that this event has attracted, ITFC has shown keenness to highlight its role, as an Islamic Trade Finance Institution, in contributing to the economic and social development of its member countries through trade finance and trade development. In addition, ITFC is seeking to use this opportunity to showcase its role in promoting the development of the Small & Medium-Sized Enterprises (SMEs) and its support to the Private Sector through Islamic Banking. Asked about the event, Eng. Hani Salem Sonbol, CEO of ITFC who delivered the opening remarks and was one of speakers in the event responded :' The need for Trade Finance, which is a catalyst for trade, has become more imperative now. However, many providers of trade finance have reduced their exposure to businesses, leading to a gap in trade finance for companies, importers and exporters, just at a time when they most need it. ITFC is pushing its efforts to positively contribute to the SME sector by extending innovative financing structures and platforms”. In the event Mr. Nazih Al-Naser, CEO of Catalyst Group has presented the role of SMEs Development Program in partnership with ITFC in the Kingdom of Saudi Arabia. SMEs face in accessing trade finance and the role that Islamic Finance can play in enhancing access to finance, solutions on how ITFC can better design SME solutions to overcome market barriers and play an active role in driving private sector growth in Member Countries and understanding the development impact ITFC SME trade finance solutions can have on Member Country populations.